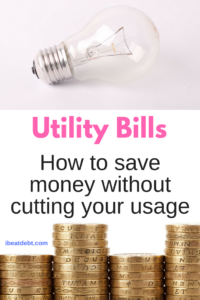 Have you ever had a letter through tell you that a utility provider is putting up your prices? I’m sure companies do have things which affect the service they can provide and therefore have genuine reasons to put up our prices. I am however equally sure sometimes they send out these letters and communications knowing that very few people will query it and they will just start making the extra money. I don’t know about you but I find it so infuriating. You get no more service for more money. So what can you do about it? It might sound obvious but I am very much a firm believer in “if you don’t ask you don’t get”. There are clearly times and places when that is not appropriate. I mean good luck to anyone who stands at the till in the supermarket saying they don’t want to pay full price for their trolley of shopping. I recently had a letter from my broadband provider. They were going to be putting up my price by about £3 a month. Unfortunately I’m within the minimum term of my contract, so I couldn’t threaten to leave them, but I did call them up and explain that I wasn’t happy. Without giving my life story, I explained that I was trying to be really careful with my money, and I don’t appreciate just being told that my prices were going up. The guy I spoke to was very understanding and helpful. Funnily enough they were able to attach a special promotion to my account until the end of my contract which was almost exactly the amount that they wanted to increase it by. I think the difference was a few pence. Later this year my TV provider contract is up. Even if I don’t get a letter saying my price is going up, I will get in touch. You should do the same. 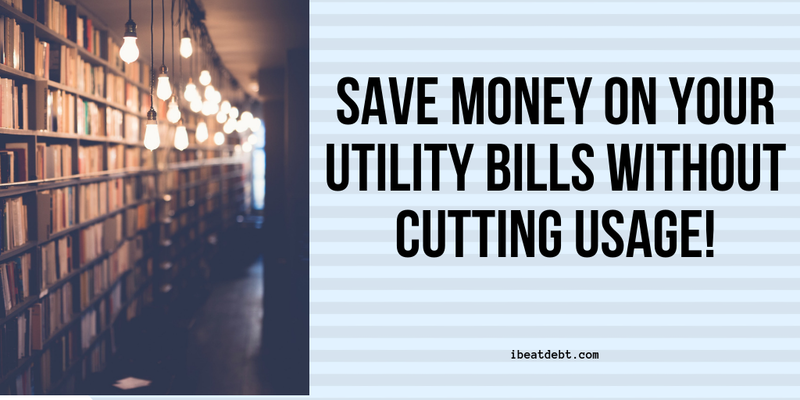 Just explain that you are struggling to pay your bills or the price no longer fits in to your budget. You may have to commit to staying with them for another minimum period, but quite often they will offer you a good offer in return for this. Sometimes it’s a complete faff to change a service provider and so we don’t do it. One of the ones that infuriates me the most is insurance! Every year I would get a car insurance renewal notice through in the post. I have to admit, for several years I just saw that it was going to be paid automatically and didn’t think anything of it. When I was in debt and money was tight I decided to start shopping around each year. Not only could you get the same product or service cheaper elsewhere, sometimes the same provider would be offering the exact same thing cheaper online! More often than not if you phone them up and tell them what you’ve found they will price match it (especially if it is within the same company). I do however know of people whose insurance companies wouldn’t match the price that same company were offering online. They then cancelled their policies and then took out exactly the same one online with the same organisation! Crazy right?! In the past year I have switched energy providers and researched cheaper car insurance (before I became carless). The invention of comparison sites have made it so easy. You can go on to one website, enter your details in once and find loads of deals. I admit, it is more effort than leaving the renewal on the pile of post, but I have saved a lot of money by doing this. It is worth the time and effort. Much as it is more effort than doing nothing, asking for money off and shopping around can save you a small fortune. A few pounds a month on this service and a few pounds a month on another service can soon add up to £100s a year. It really is money for nothing and worth investing a few minutes in every now and again. 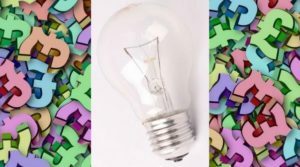 Don’t make the same leasehold mistakes I made!